I warned everyone the cottage cheese recipes might be coming, and they are! Ever since I discovered a better-for-you cottage cheese brand without fillers or carrageenan (Good Culture, in some grocery stores), our menu includes cottage cheese once again. 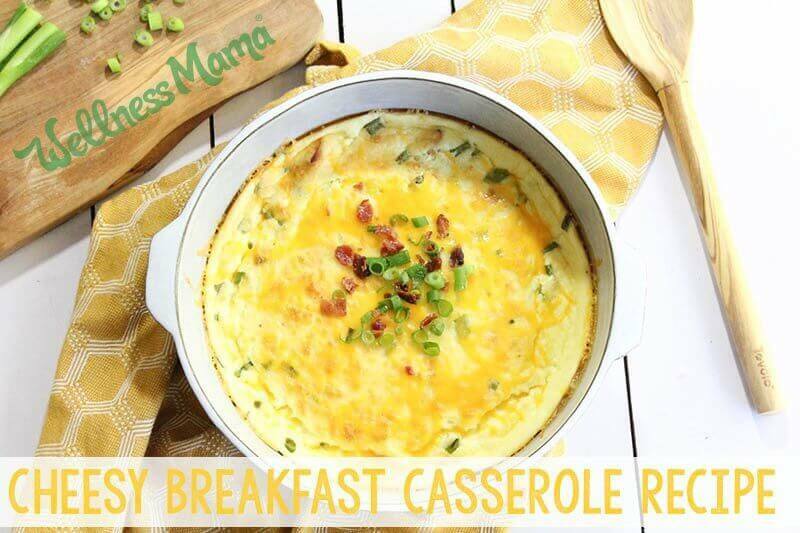 This easy one pan breakfast casserole recipe capitalizes on the creaminess of blended cottage cheese to create a protein packed savory breakfast dish my family really enjoys. It can be hard to find a bread/grain-free breakfast casserole recipe when something besides just eggs is needed to give it that characteristic custardy lightness and body. It turns out cottage cheese (quickly blended with pastured eggs) does the trick quite well. As with most of my favorite egg recipes, this breakfast casserole is quick to throw together and doesn’t get many dishes dirty (just the blender and one pan). It’s also endlessly versatile and easy to adapt by changing out the types of cheese or meat or even by adding different veggies. Anytime I have spinach wilting in the fridge or leftover sautéed veggies, I know it’s time for eggs for breakfast. After all, repurposing leftovers is a busy mom’s go-to and a great way to provide variety without breaking the budget. Because it can be made ahead the night before, this breakfast casserole is ideal for holidays, hosting overnight guests, or feeding a crowd (which is just a weekday at my house!). Or, pour into muffin cups and bake individual mini-egg cups for on the go. 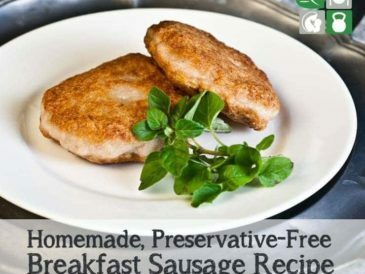 Unfortunately, I don’t think this recipe would freeze well due to the cottage cheese, but if you try it and it works, let me know! But Is Cheese Really “Healthy”? 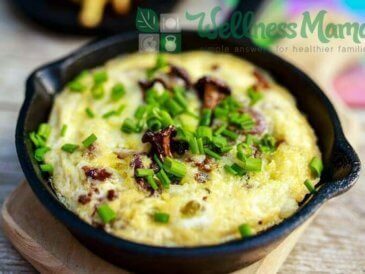 We often eat eggs in the morning, but we did avoid dairy while we were healing my son’s dairy allergy and my autoimmune disease. Now we’re all doing well with bringing some dairy (from quality grass-fed sources) into the regular meal rotation. 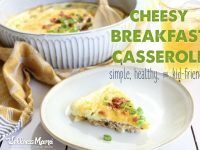 Now that we can enjoy some dairy, a cheesy breakfast casserole is possible again (something we went without for many years). I tackle the controversy about whether or not dairy is a healthy food here. My opinion remains that a healthy diet is all about variety and observing how you feel when eating certain foods. Given our history with dairy I try to offer dairy-optional recipes (as with all of the recipes in my cookbook). Unfortunately I can’t think of a good substitute for cottage cheese in this recipe, as nut milk wouldn’t give the body and creaminess and I generally recommend avoiding soy. 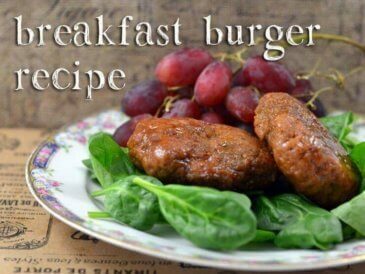 Many egg-based breakfast recipes are easy and delicious without cheese. 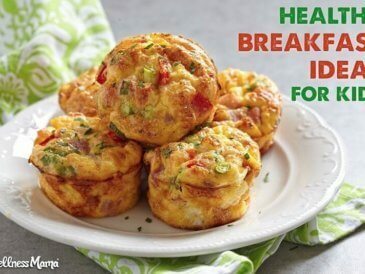 If you need to avoid dairy, try this vegetable frittata recipe or ham and egg breakfast cups. Both are also easy to whip up, make ahead in quantity, or even freeze! P.S. Don’t have a good cottage cheese option by you? Take matters into your own hands and make your own with this at-home cheese-making kit. I might give it a try as a “science experiment” with the kids and let you know how I do! 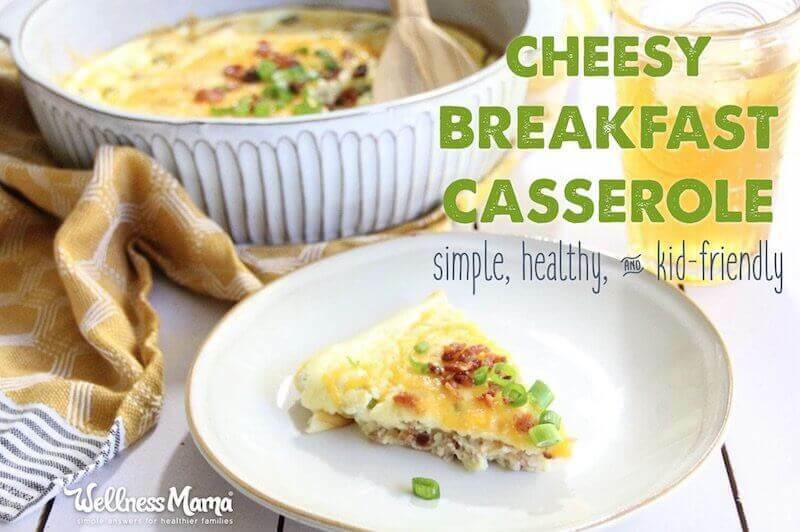 This easy cheesy breakfast casserole is packed with protein. Eggs and cottage cheese unite for a creamy texture and herbs and bacon add flavor. Top with sliced green onions for a quick breakfast for a crowd. In a blender or food processor, puree the cottage cheese until smooth. Add the eggs, parmesan, garlic powder, and onion powder and pulse until combined. Add the bacon and green onions if using and stir by hand to combine. Pour into greased 9x13 inch dish and bake for 35-40 minutes or until fork inserted into center comes out clean. Top with cheese and return to oven until just melted. Serve immediately. Can be made ahead of time and reheated. 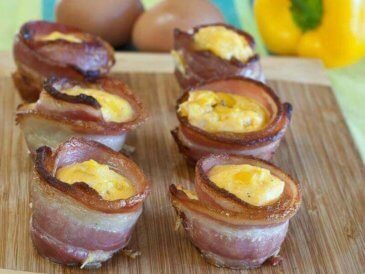 Also try making it in muffin cups for a single serve breakfast, just reduce the cook time to about 20 minutes. For additional nutrients and fiber, mix in chopped spinach or leftover sautéed veggies along with the crumbled bacon and green onions, or serve a salad on the side. Do you have a favorite grain-free breakfast casserole recipe? How would you adapt this recipe? I’d love to hear!